To animate the fountains of French gardens, the fountain of the 17th century used the force of gravity. Therefore they needed to have significant water resources located in height relative to the garden. The Versailles Castle, built on a hill without sources and surrounded by swamps, does not lend to the creation of fountains. In 1661, Louis XIV began to embellish his father’s domain. He dreams of creating gardens with water games surpass those that he has admired in vaux-le – Vicomte. Providing water to the ever more numerous fountains and store it in tanks at a higher altitude than the gardens, are the two challenges facing the engineers working in the king’s service. To raise the water to tanks, different systems are used : operated rides horses, windmills or watermills. The more the water needs increase, the more the techniques employed are ambitious. Pierre Paul Riquet even offers to divert the Loire. In 1684, the King inaugurates the Marly machine, designed by Arnold de Ville and Rennequin Sualem. This gigantic hydraulic pump brings water from the Seine to the Aqueduct of Louveciennes, located 165 meters above. To carry out the creation of hydraulics, Louis XIV appealed to members of the Royal Academy of Sciences. In 1666, the brothers Francine test the first cast iron pipes. 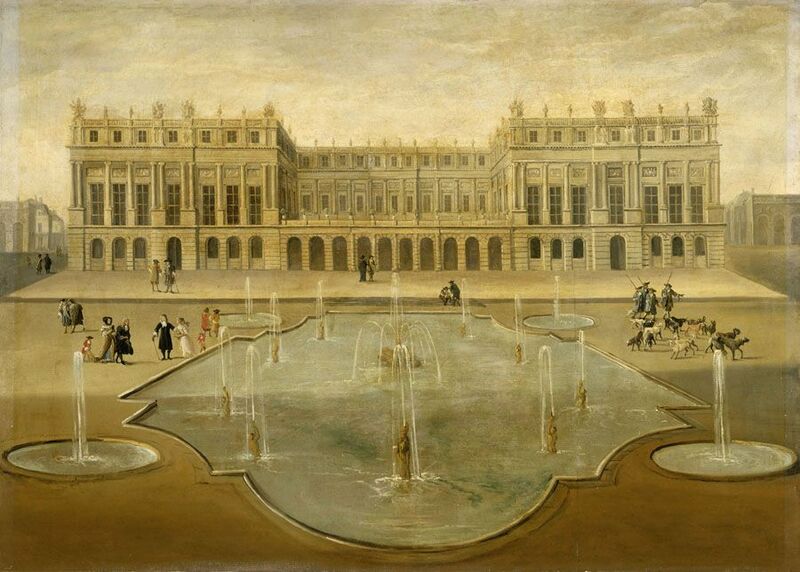 Happy marriage of science and art, the fountains of Versailles are the pride of Louis XIV. They decorate the promenade of the king, contribute to the success of outdoor festivals, testify to the power of the monarch. When the King wants to personally honor a distinguished guest, he invited him to visit the gardens and presents his “Fountains”. As there is not enough water for all the fountains operate simultaneously, an ingenious scheme was developed: the fountain guardians will warn each other of the approach of the king by whistling. At the signal, they open the floodgates fountains with large keys. Today from April to October a show is organized and allows you to discover the magic of the waters of Versailles. 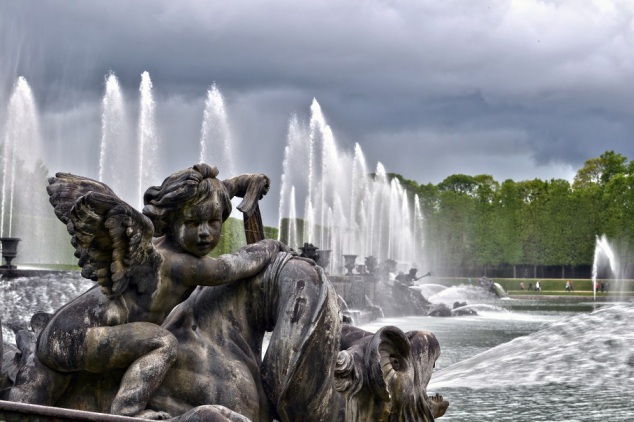 The spectacle of the great waters is a fairy fountains and jets of water with background music to discover while walking in the gardens of the Palace of Versailles. Eight courses or sound zones were delineated and each were assigned one or more works, mostly from Lully but also Desmarest, Gluck and Rameau. Click on this video link to discover a teaser about the Versailles great waters show.